It is finally safe to say that the islands are back to off-season normal. The locals no longer need to share roadways/restaurants and the weather is beautiful with the first tell-tale indications of the rainy season evidenced this week by a few late day passing showers. 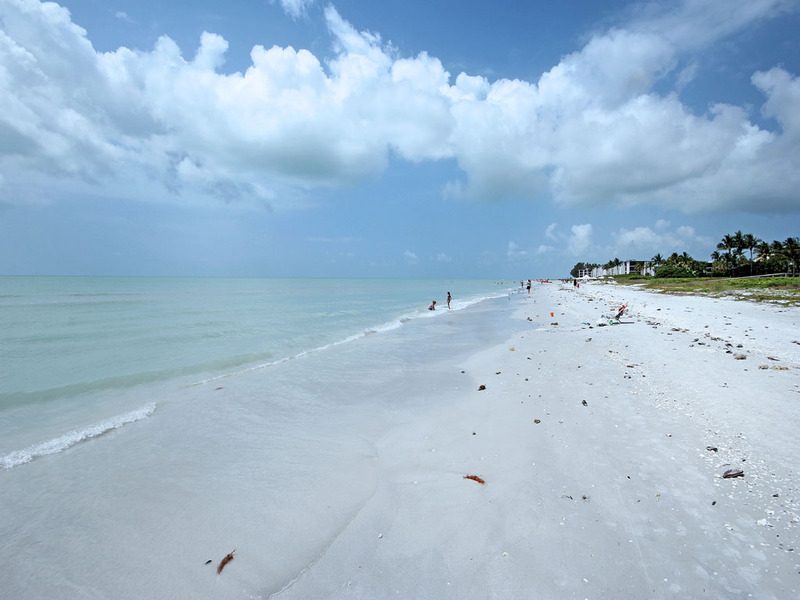 SanibelSusan showed a few homes on Monday and the team and I have otherwise been working on getting some listings sold and under-contract properties to the closing table. Also put a charming home under contract. Three of our Sellers agreed to price reductions this week. We often see those this time of the year, when there is a post-season lull before summer vacationers start arriving. Below are a couple of news items followed by the action posted in the Sanibel and Captiva Multiple Listing Service since last Friday. The NAR (National Association of Realtors) annual legislative meetings are finishing up today at the nation’s capitol. Several representatives from our Sanibel/Captiva Islands Association are there, pressuring for reform in those issues affecting us most. Below is an article that was posted today on “Realtor®Mag” about NAR’s Chief Economist’s predictions while at these meetings. “Home sales will pick up to a solid 5.3 million this year and are expected to hit 5.5 million next year, but until inventory constraints improve, the country’s large pent-up demand for home sales can’t be met, NAR Chief Economist Lawrence Yun said at the 2015 REALTORS® Legislative Meetings & Trade Expo in Washington, D.C.
“Overall, the economy is on a steady growth track, with solid job formation, continuing low interest rates, and the large millennial generation entering its peak household-formation years. But with buyers having to compete for a limited selection of properties in many markets across the country, home prices are rising fast, making it hard for many first-time buyers to get into the market. “Yun’s concerned that, as a result of these conditions, many households risk missing out on the wealth-building effect of home ownership at a time of low interest rates and strong price appreciation. “Young people are in a position to leave their parents’ home because job growth is picking up, but the lack of inventory and rising prices is making that hard,” he said. “For lawmakers, there are important policy implications, because home ownership is the path most people take to building wealth. As more households find their options limited to renting, inequality—already rising across the country—will worsen. “Without home ownership, many people will not be able to enter the middle class,” he said. “Despite the need for more inventory, builders are concentrating on the multifamily rental market right now, because that’s where the demand is, said Robert Dietz, vice president for tax and market analysis for the National Association of Home Builders. Dietz, speaking at the same forum on residential issues and trends, said the renter population has been the big growth story in real estate since the economic recovery began several years ago. “There’s plenty of interest among builders to fill the need for more single-family homes, too, but small builders, who historically have been responsible for building two-thirds of new homes each year, can’t get the acquisition and development financing they need to get back into the market. Lenders want them to have buyers already lined up before they give them financing, Dietz said, making it hard for builders to get inventory in the market for buyers to look at. Also keeping housing starts down are a lack of skilled labor and a shortage of developed lots, he said. Prices of building materials are on the rise, too. “Realtor.com® has unveiled a new look to its website and mobile platforms and launched a new advertising campaign that aims to position its brand as the best – “and truest” – provider of real estate information. “The campaign marks the biggest marketing initiative in realtor.com®’s nearly 20-year history and comes at a time of increased competition in the real estate website arena, according to a news release. “Its new graphic identity includes a two-tone logotype that highlights the “real” in realtor.com® in red letters and is intended to communicate that while competitors may feature conflicting or inaccurate information, “realtor.com® stands for what is real in real estate by delivering fresh and accurate listings,” according to the news release. “The campaign also highlights that message in new TV spots and web videos that feature actress Elizabeth Banks, who has been part of “The Hunger Games” franchise. The new ads will debut May 18 and run on major broadcast networks and cable channels. More info from the DC legislative meetings was posted yesterday in “DAILY REAL ESTATE NEWS”. Our Miami colleagues are very excited about the event they are hosting in November which this year will be in partnership with NAR’s annual conferences in San Diego. “The National Association of REALTORS® is expanding its presence across the world in an effort to educate more practitioners living in other countries as real estate increasingly becomes a global business. “Tony Hanna, president of the Association of Professional Real Estate Agents of Mexico, announced a new initiative of the organization called AMPI USA. It’s aimed at teaching REALTORS® in the U.S. how to do business in Mexico. Courses on the topic will be offered at the AMPI International Real Estate Summit in Puerto Vallarta, Mexico, which will be held June 24 to 28. “In November, the Miami Association of REALTORS® will be holding its 21st annual International Real Estate Congress, a popular networking event that brings foreign investors and developers together with real estate professionals in a world-class city. But for the first time in its history, part of it will be held in the host city of NAR’s REALTORS® Conference & Expo, which is San Diego this year, so those already planning to attend NAR’s event can experience IREC as well. MAR has partnered with the San Diego Association of REALTORS® to host the second leg of the event Nov. 10 and 11 just before the kickoff of NAR’s conference on Nov. 13. The first leg of IREC will be held in Miami Nov. 8 and 9. “Several delegates from NAR’s partnering organizations in foreign countries also were on hand to explain how NAR has helped them expand the REALTOR® brand at home. “Greece: The Greek economy is only now entering recovery mode, said Nikos Manomenidis, president of the Central European Real Estate Associations Network. That’s ushering in expanded opportunities for practitioners there, which has prompted a move to strengthen real estate standards there. Greek real estate organizations are now in the process of establishing the country’s first MLS, and they are adopting NAR’s Code of Ethics. “Canada: An astounding 72% of REALTORS® in Canada don’t collect referral fees, said Pauline Aunger, president of the Canadian Real Estate Association. That’s a lot of money being left on the table, particularly for the 10% of Canadian REALTORS® who work with international buyers and sellers, she said. CREA is working with NAR to teach its members how to establish and use referral fees, and CREA has also partnered with NAR to create the country’s first course for the Certified International Property Specialist designation. “Romania: In the 10 years since he first attended an NAR convention, Dan Negulescu, president of the Romanian Association of Real Estate Agencies, has helped build the country’s “mini NAR.” The organization has launched Romania’s first MLS, established commission structures, and adopted the Code of Ethics. “Taiwan: Michael Tseng, vice president of the Taipei Association of Real Estate Brokers, was the first Certified Commercial Investment Member designee in his country. Since then, he has launched several CCIM initiatives, eventually making courses for the designation part of standard curriculum at Taiwanese universities. Higher-ed institutions in the country now also provide coursework for students to get their real estate license. “While the Federal Aviation Administration (FAA) has not yet authorized drone use for most real estate functions in Florida, a bill (SB 766) passed by the Florida Legislature and signed by Gov. Rick Scott yesterday creates new rules for drone use once the FAA does so. “In general, the Florida bill provides privacy protections for residents fearful that a drone will be allowed to fly across their private property and take pictures. “According to a Senate committee’s bill analysis, “A person or entity engaged in a business or profession licensed by the state may use a drone to perform reasonable tasks within the scope of his or her license.” In addition to the exception for state licensees, the bill allows drone use by tax collectors for assessing property for ad valorem taxes and pictures taken by an electric, water or natural gas utility. 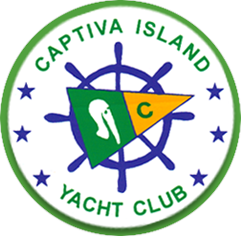 Captiva Island Yacht Club uses the U.S. Sailing Association’s curriculum at their Junior Sailing Camp for kids ages 8 to 15 and at all experience levels. Membership in the yacht club is not a requirement. Two sessions are scheduled this summer (June 15 to 26 and July 13 to 24). Camp will be held at the yacht club, located next to ‘Tween Waters Inn. For additional info, email: accounting@CaptivaYC.net. It is a month away, but islanders already are looking forward to this year’s “Islands Night” at the Lee County Sports Complex. Beginning with a parade, “Islands Night” is a local tradition of hometown camaraderie begun by islander Sam Bailey over 20 years ago. On Wednesday, June 17, at the Sports Complex, the gates open at 5:30 p.m., with parade at 6:15, followed by a baseball game – Fort Myers Miracle versus Daytona Tortugas at 7:05. Tickets are free. It is where islanders celebrate the end of another “busy” season. On my travels this week, I stopped a couple of times to snap photos of the beautiful Royal Poinciana trees that are in gorgeous full bloom this year. Some Mays, with the onset of the rainy season, their color is short-lived – not so this year. Below are a couple of photos of the brilliant orange canopies. 5 new listings: Tennisplace #E31 2/1.5 $369K, Sundial #F308 1/1 $385K, Sandpebble #1F 2/2 $399.9K, Lighthouse Point #131 2/2 $599K, Cottage Colony West #110 1/1 $639K. 3 price changes: Spanish Cay #F2 1/1 now $250K (our listing), Mariner Pointe #332 2/2 now $480K (our listing), Sanibel Arms #E8 2/2 now $497.4K. 1 new sale: Sundial #A301 2/2 listed for $869.9K. 4 closed sales: Sundial #F306 1/1 $345K, Sanibel Moorings #1622 2/2 $415K, Mariner Pointe #421 2/2.5 $515K, Dosinia #2B 3/2 $1.275M. 2 new listings: 1658 Sabal Palms Dr 2/2 $850K, 1004 Fish Crow Rd 4/3 $925K. 6 price changes: 9477 Peaceful Dr 3/2 now $474.9K (our listing), 9106 Mockingbird Dr 2/2 now $499K, 1774 Bunting Ln 3/2 now $539K, 9012 Mockingbird Dr 3/2 now $549K, 1710 Sand Pebble Way 3/2 now $645K. 3 new sales: 9446 Beverly Ln 3/3.5 listed for $595K (short sale), Moonshadows #1A 3/3 listed for $899K, 375 East Gulf Dr 3/3 listed for $1.395M (our buyer). 5 closed sales: 475 Sea Walk Ct 3/2 $510K, 1445 Causey Ct 3/2 $790K, 6195 Henderson Rd 2/2 $1.15M, 5235 Indian Ct 4/3.5 $1.535M, 4627 Rue Belle Mer 3/2 $2.875M. 1 closed sale: Bayside Villas #5144 1/2 $275K. 1 new listing: 16500 Captiva Dr 5/5 $5.8M. 2 price changes: 1105 Tallow Tree Ct 3/3 half-duplex now $2.099M, 11530 Paige Ct 4/5.5 now $3.98M. This entry was posted in Captiva real estate, Florida property, Florida real estate, Real estate, Sanibel Island, Sanibel real estate, SanibelSusan, SanibelSusan's Blog and tagged Captiva Yacht Club, Drone, home sales, Islanders Night, Real estate sales, Realtor.com, Royal Poinciana, Sailing Camp, SanibelSusan, Sannibel & Captiva real estate by SanibelSusan. Bookmark the permalink.